The numbers may be shrinking a bit in recent years but, when you look at it, the sheer aggregate of people who've made a toon, joined a raid or bought a pet in World of Warcraft is still mind-boggling. 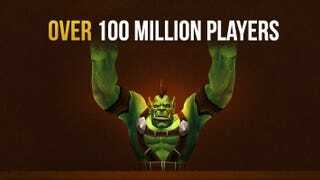 A lot of people have touched Blizzard's hit online game in the decade since World of Warcraft debuted in November 2004. More than twice the entire population of South Korea, according to a new infographic created by Blizzard. All that money and all those words—along with the intangibles that come in the form of relationships—make it a bit more understandable as to how WoW becomes a way of life for people.